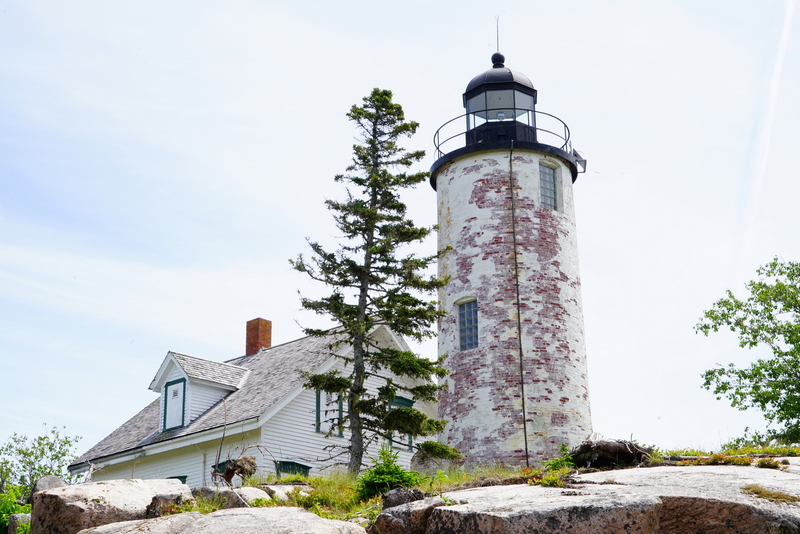 ‘Baker Island’ — Acadia National Park’s Smallest Outpost. 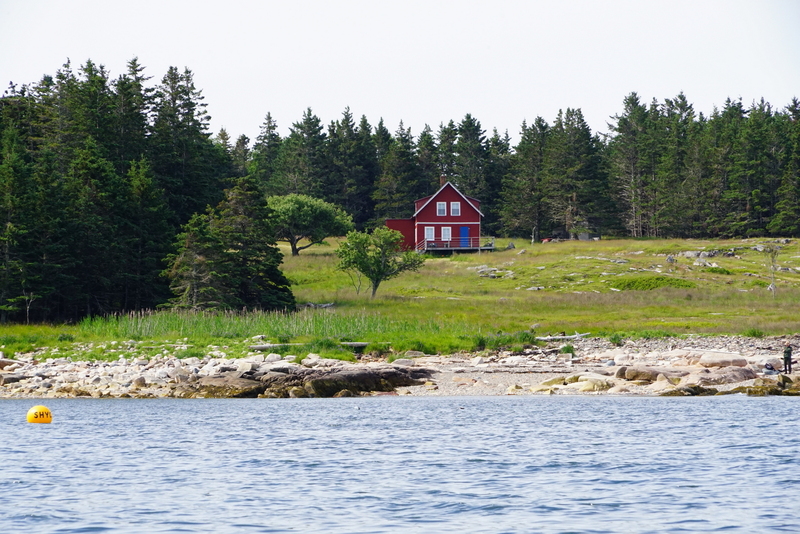 On Wednesday, June 27, 2018, we did the 5-hour (viz., 8am — 1pm) ‘Baker Island Tour‘ offered by the ‘Bar Harbor Whale Watch Co.‘ Though a tad expensive it was definitely rewarding and well worth the money. 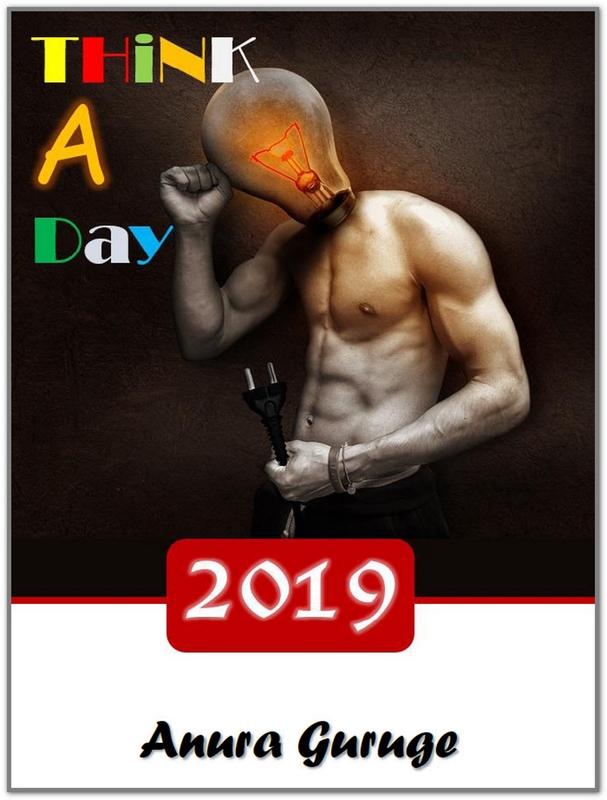 It is one hour out and one hour back with roughly 2.5 hours on the Island — with another 30 minutes (or so) devoted to getting on/off the island using a 12-person ‘tender’ (i.e., a skiff). An official Park Ranger, in our case the veteran Dusty Warner, led the Tour: narrated the trip (both ways) and took us on a guided tour of the main part of the island. It was good. We picked a picture perfect day. Over 80% of the Island, which is now only sporadically occupied (and that by just one family) is part of the Park. So, you can visit in your own boat, if you have one — and while we were there we saw four folks come over in their own launch. That was cool. Now that I have visited ‘Baker’ I have covered all 5 sections of Acadia National Park. This was our 11th trip since my very first sojourn September 2013. On our first two trips, like so many others, we just stayed on ‘Mount Desert Island’. 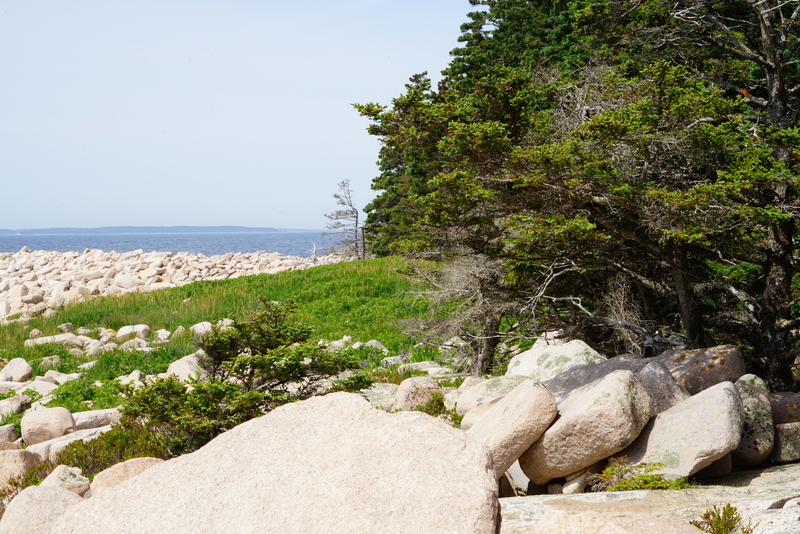 But, then in September 2014 we stayed in Schoodic and since then typically spend at least 1/2 day each trip in Schoodic. 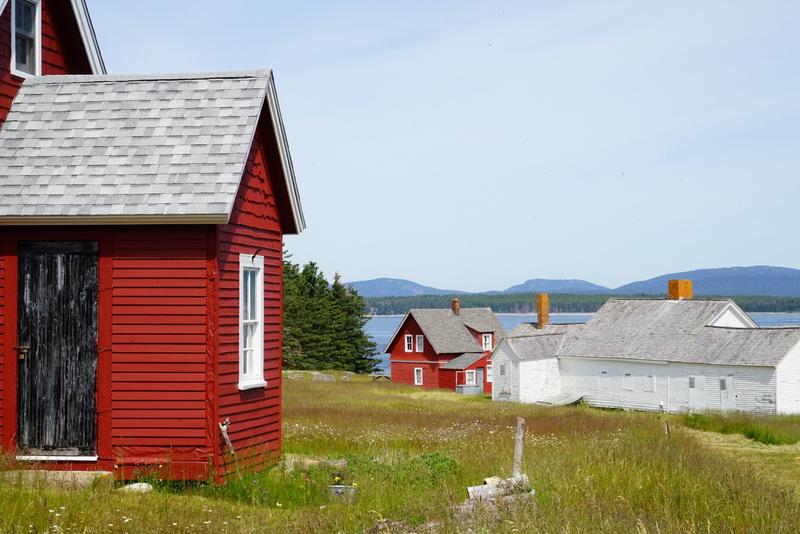 In September 2015 we visited ‘Isle au Haut‘. So, now we have done the full house. 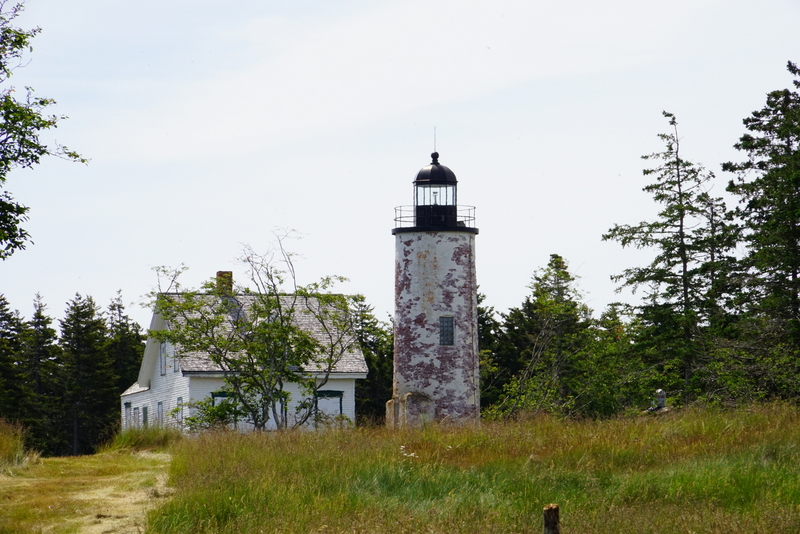 Baker Island is very different from Isle au Haut. For a start, Baker, is much, much smaller. 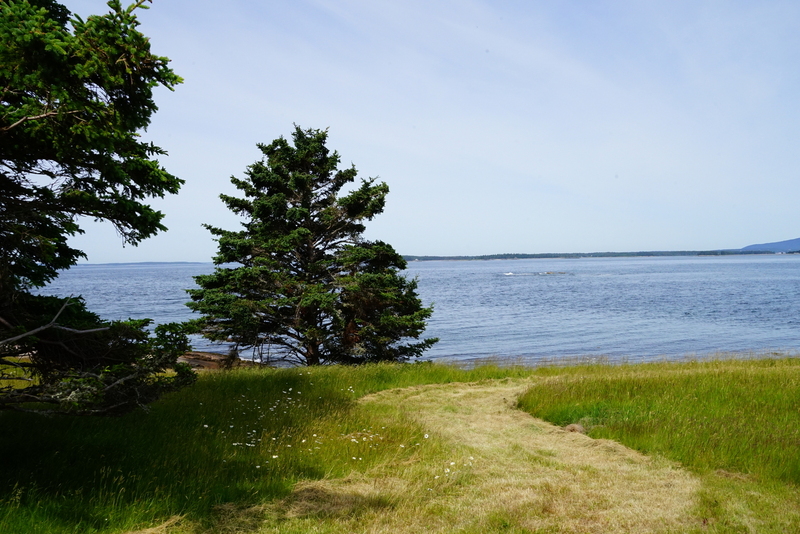 Plus, unlike au Haut, it doesn’t have a bustling Summer community at one end of the island. Baker, is very FLAT and quite small. So, it is easy to hike, whereas au Haut has some challenging ‘scrambles’. Whereas au Haut is classically Acadian with the sheer cliffs and dense forest, Baker is very open with just a small forest in the middle. Baker, originally inhabited by the Gilley family has an intriguing history. It was quite a bustling trading port, mainly for cod, towards the end of the 19th century. I have already ordered two books about the island so that I can get a better understanding of what took place. 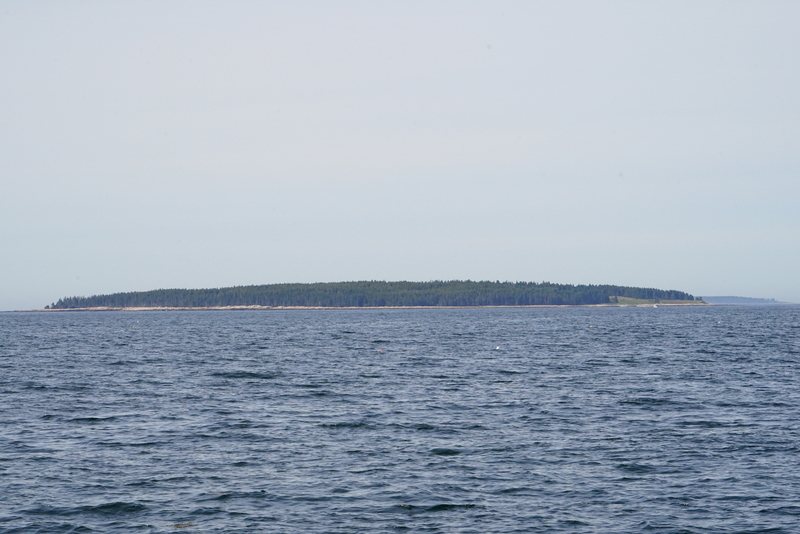 I highly recommend visiting Baker Island. Gorgeous views and an idyllic, pastoral setting. Extremely relaxing.